The first Keltic Fair was held in the grounds of Firlawn House in Coromandel in 1990, when two women from the Culdian Trust took it upon themselves to organize the fair as a community project. It was a small event with a local flavour, featuring stalls, crafts, food and entertainment. The following year the organizers decided to take the plunge and increase the size of the fair, using the grounds of the local area school, providing better entertainment and more stalls. 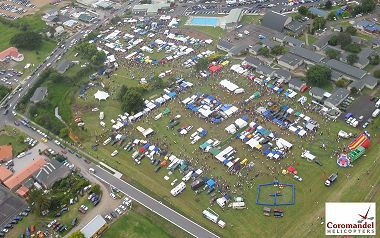 Since then the fair has grown tremendously, and is now a well-known event attended by people from all over New Zealand, with up to 300 stallholders traveling long distances. Twelve to fifteen thousand people attend the fair each year, and the numbers continue to grow. The proceeds from the fair are going towards projects benefitting the Coromandel Area School.